Summary (found on Author's Website): Nicole Renard returns home to Galveston and finds her father deathly ill. Though she loves him, he's only ever focused on what she's not. Not male. Not married. Not able to run Renard Shipping. Vowing to secure a suitable husband to give her father the heir he desires before it's too late, Nicole sets out with the Renard family's greatest treasure as her dowry: the highly coveted Lafitte Dagger. But when her father's rivals come after the dagger, she's forced to change her destination. Darius Thornton has been a man obsessed since the fatal boiler explosion aboard the Louisiana that nearly took his life. He will do anything to stop such disasters. Even hire a female secretary. Sure he can ignore the distraction of her pretty face, he's not sure how to proceed when drawn to her clever mind. Nicole is determined not to let her odd employer scare her off with his explosive experiments, yet when respect and mutual attraction grows between them, a new fear arises. How can she acquire an heir for her father when her heart belongs to an unsuitable candidate? And worse, when her father's rivals discover her hiding place, she will have to choose between that love and her family's legacy. 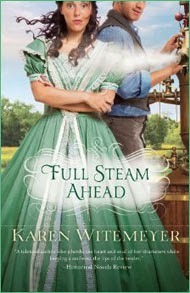 Karen Witemeyer does it again with Full Steam Ahead. This is her newest book and I've found it to be her best so far. The writing is quick and witty and the story is very well rounded out and put together. Full Steam Ahead is an engaging story about the feisty Nicole Renard who in an effort to find an heir for her ailing father's shipping company sets off for New Orleans to find a husband. Events however send her off course to a little town in Texas where she must find a way to earn enough money to make her way to New Orleans. Fortunately she finds work for Darius Thornton a man obsessed with finding a way to make travel on steamships safer. He is an unconventional scientist who has little time for anything other than his experiments, let alone love, and just may turn out to be the perfect man Nicole set out to find in the first place. 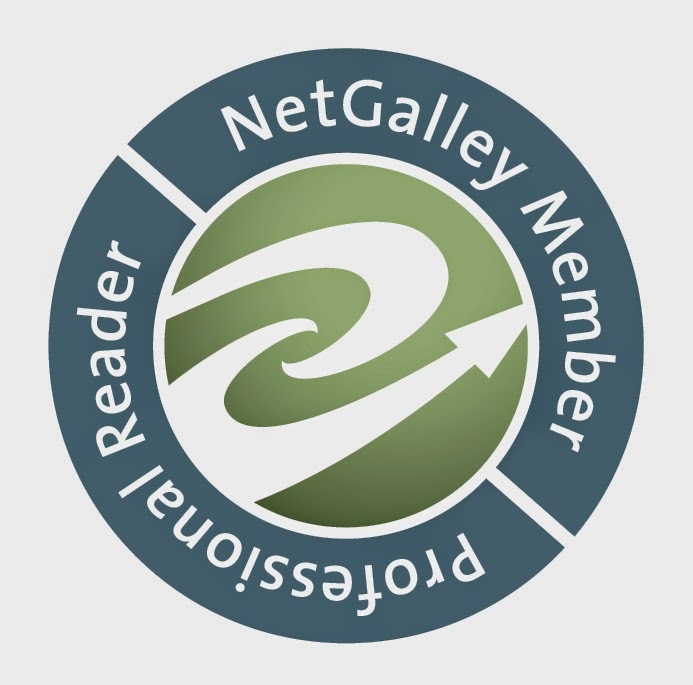 As always Karen Witemeyer is a very creative and cleaver author. Her writing flows well throughout the story and there were no major plot holes in the story. Full Steam Ahead wasn't as funny as some of her other books but it still had moments where I found myself giggling at a paragraph or conversation going on in the book. Karen Witemeyer's books may be romance's but they are never dull. She always manages to add suspense and danger in her books and her latest is no exception. After reading the summary I was expecting the Jenkins brothers to show up more often than they did, but after meeting them I'm glad that expectation wasn't fulfilled. They are great villains who cause more than their fair share of trouble for both Nicole and Darius. I found myself on the edge of my seat often, eager to see how things would turn out. From the main characters to the one's who only show up once or twice all of the people who show up in this book are very well written. Nicole and Darius were both very endearing with personalities that made me like them instantly. Their successes and flaws were well rounded and I never found just one thing about either of them overpowering. The minor characters were all very delightful as well. I would have liked to have seen a little more of Nicole's parents, because they seemed like they could have added quite a bit to the story, but I also understand why they were absent for most of the story. One of my favorite things about Karen's books is the spiritual aspect of them. Her books always deal with issues or questions Christians face daily and she always does a great job writing about these things. Full Steam Ahead was no different. I found myself moved as I read about how Darius struggled with forgiving himself for the Louisiana steam boat accident and inspired when Nicole helped him to see through his struggle and rely on God's love, forgiveness, and grace. This book has come at a moment where I needed to read the words that Nicole told Darius almost as much as he did and I hope that they have a similar effect on others who read Full Steam Ahead. There are however a few things that I didn't like while reading through the book. About halfway through the book the romance began to really build and heat up, which was good. What wasn't was the fact that Darius' personality seemed to change almost instantly. There are a few events that push this happening, but I felt that he lost a little too much of his personality in his sudden rush of emotion for Nicole. He was still Darius, there was just something missing. Another thing that is nagging at me is the fact that closer to the end a lot of effort is put into letting the reader know about a ring, this ring does show up, but it is immediately forgotten and never brought up again in the book. This isn't a major issue, but it would have been nice to have a final mention of it somewhere at the end. Full Steam Ahead was an excellent read, one that I would read again. It's historical setting is lush and beautiful and well written. It will lift your spirits and hopefully inspire you to trust in God a little more. I give it 5 out of 5 stars and would most certainly recommend it to anyone looking for a good historical read, romance, inspirational book, or all of the above.